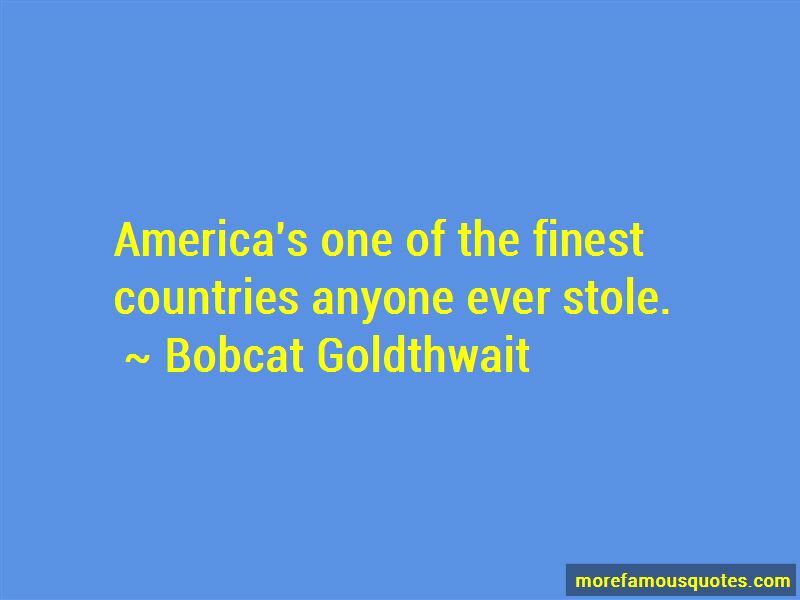 Enjoy the top 19 famous quotes, sayings and quotations by Bobcat Goldthwait. 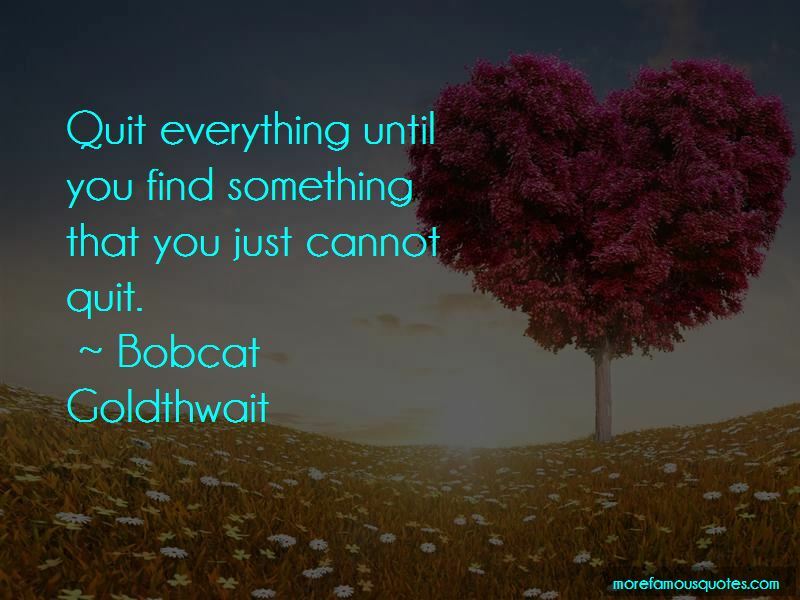 Go on, try weasel, try squirrel; it tastes like chicken, it tastes just like chicken! If it tastes just like chicken, why don't you gimme some damn chicken? I can't feel my face. I mean I can touch it. But I can't feel it inside. 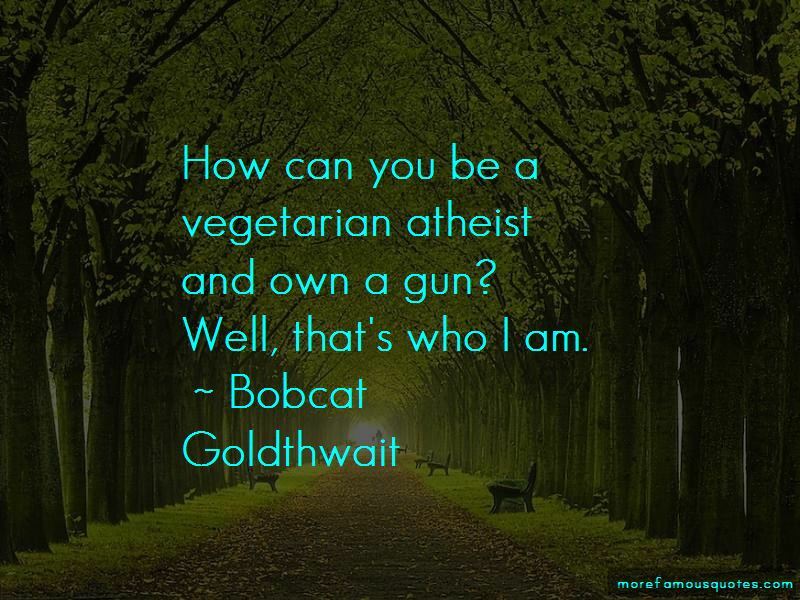 Want to see more pictures of Bobcat Goldthwait quotes? 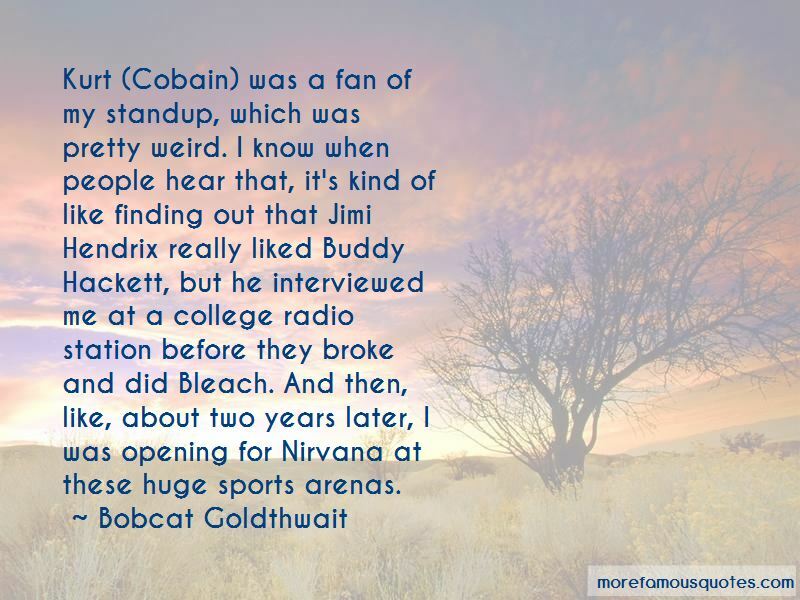 Click on image of Bobcat Goldthwait quotes to view full size.